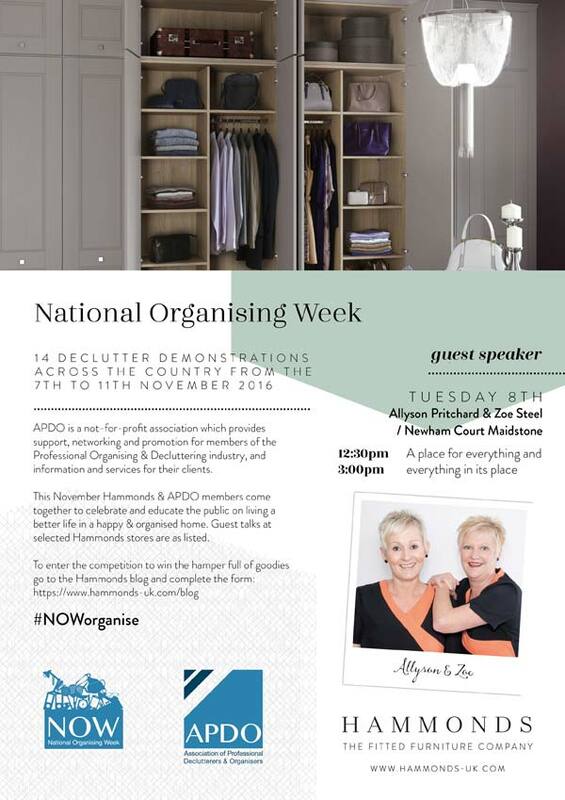 On Tuesday 8 November 2016, Allyson and Zoe will be speaking at the National Organising Week Event at Hammonds in Newnham Court, Maidstone, Kent. Sessions are at 12.30pm and 3.00pm. Full details are shown below.